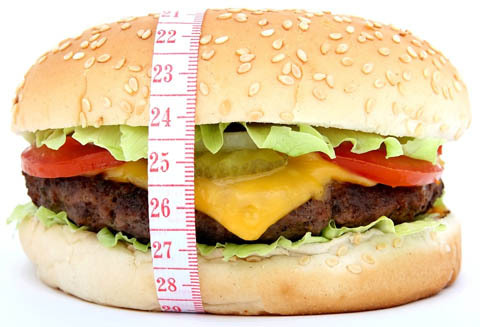 According to World Health Organization, 2.8 million people die due to obesity. Overweight and Obesity pose the fifth leading risk for global deaths. Overweight and obesity may cause life style disorders and diseases like diabetes, heart disease, blood pressure and much more. Obesity or being overweight may be the root cause of around 44% cases of diabetes and 23% cases of heart diseases. Obesity is when there is excess fat accumulation in the body, which may have negative effect on the body. Obviously, it is related to weight gain. There are certain indexes to identify if a person is obese e.g. BMI or Body Mass Index, waist circumference, and Waist Hip Ratio. Body Mass Index (BMI) is calculated as the individual’s weight in kilograms divided by the square of his height in meters. An individual with a MBI of greater than or equal to 25 is considered as Overweight and BMI of greater than or equal to 30 is considered as Obese. Obesity is usually caused due to unhealthy eating and living habits. When we consume plenty of calorie rich food and have no physical activities in our daily routine, then chances of obesity are higher. But there are many factors which may cause obesity and some of the important factors are here under. The rat race of the modern life is detrimental for both physical and psychological health. Working for long hours without taking breaks, skipping meals, eating unhealthy and packaged foods, neither sleeping nor waking up properly are some of the unhealthy living practices. WHO recommends, eating a healthy and balanced meal, three times a day followed by snacks. It also says if we find time for regular workout and cardiovascular exercise, we can avoid many lifestyle related diseases including weight gain and obesity. Being obese or overweight may be related to hereditary or genetic factors. Risk of Obesity is two to eight times higher for a person with a family history as opposed to a person with no family history of obesity. There are certain diseases like Polycystic Ovarian Syndrome, Thyroid, and cholesterol which may cause weight gain or obesity. Sometimes, side effects of certain medicines can cause the weight gain too. Depression, stress, body shame, abuse, and trauma can cause obesity and weight gain. Food has a positive effect; it tastes good, and so you tend to eat it up. But, consuming all those calories can lead to some adverse effects. Overweight and obesity are the major problems in today’s world because more than 40% of the people suffer from such above mentioned psychological conditions. Obesity must be controlled so that you can prevent yourself from lifestyle disorders and ailments. Having food is not the main problem here, foods are tasty and it can elevate the mood and cheer you up. But what you eat and how you balance the calorie gain matters. The physical exercises and burning of calories is the solution. Your body needs to sweat and flush out the toxins. You have to check the quantity of foods you are consuming, so as not to take in excess of calories. Drink lots of water; include fresh vegetables and fruits in your diet. Here’s what else you should be doing to stop gaining weight and check obesity. Include physical exercise like gym or yoga in your daily routine. Its best to schedule it for the morning, but evening is equally good. Do some physical and cardiovascular exercise. Jogging, walking followed by skipping, squatting and some free hand exercises should be enough. Drinking lots of water daily can keep your body hydrated, and give the impression of a fuller stomach. 6-8 liters of water daily is ideal for a healthy body. Keep a specific bottle of water handy to you, so that you can sip from it on a regular interval. I mentioned about including the fresh vegetables in your diet, but this does not mean that you will deep fry the vegetables in a pan full of oil and destroy all the nutritional values of the vegetables. Frying the vegetables and then consuming them is not beneficial for the body, rather it’s actually the opposite. You kill all the nutritional values when you fry them, it may soothe your taste buds but not your liver. So, you can boil them in stew or soups. If you at all want to add some oil, then add one teaspoon of olive oil or vegetable oil. After waking up in the morning, consider it as a part of daily ritual, drink a glass of warm water with honey and lime juice. In a glass of warm water, add one tablespoon of honey and the equal amount of lime juice. Stir it well and then drink it. You must do this every day; it helps in better digestion, weight loss, and also takes care of your heart and kidney. Avoid oily foods like paratha and substitute them with healthy dishes like corn flakes, oats and fruits, milk, tea or coffee, fruits, and fruit juice. These foods are healthy and tasty and will also give you energy to work for a long day. You can have one egg daily as it is a great source of protein and energy. You may like to avoid eating egg yolks, because that’s not good for those who have high cholesterol. If you have thyroid, high blood pressure and other such conditions then it is better to avoid the egg yolks. For lunch you can have a small bowl of rice, two chapattis, salads, chicken or fish. You often feel like munching in the afternoon, and this is the time when you have a tendency to gorge some junk foods. In times like these, you can have an apple and some digestive biscuits. In dinner you can have some foods too, only the quantity of oil must be very limited. Include salad and curd as this will quench your appetite easily. Enjoy some family time, go out with family and friends and have fun. If you are happy and satisfied, then the metabolism will be normal too. As I mentioned earlier, psychological factors are responsible for weight gain too. Reduce stress; do not get bogged down by the daily work routine. Maintaining good mental health is required to prevent the obesity and overweight. Do not think that you are doing the exercises for other people; you are doing it for yourself. Your body needs your love and care, and you are taking all the necessary steps to protect your body from harmful effects and lifestyle diseases. The most important way to control the weight is the consumption of healthy and balanced food. The diet plan is all about what you should eat in the whole day, and it also includes what kind of food you have in your home, pantry and kitchen. The kind of foods you buy from the market will also be taken into consideration here. If you do not buy the junk packaged foods or ready made meals, then you will end up avoiding them too; thus doing a favor for your body. Include whole grain foods like oats and fibers, green vegetables, leafy ones like the spinach and cabbage, seasonal fruits in your diet. Start your morning with whole grain fibers, milk, tea or coffee. These foods are great source of energy and they are rich in minerals, proteins and vitamins. The percentage of fatty acids is low, thus beneficial for you. Finish the morning rituals, and have a glass of warm water with lime juice and honey. After the drink, you may gout for a walk or do free hands exercise, yoga, meditation etc indoor. Skipping breakfast is not a good habit. Make sure to not skip any meal, rather eat carefully and know what you are eating and how is going to affect your body. Ideally your breakfast should be over between 8-8:30am. Instead of oily breakfast, have something healthy like the oatmeal. It is essential that you consume the skimmed milk or double toned milk instead of the normal milk. The milk has high percentages of fats and carbohydrates, which may not be good. Instead of having sugar in your beverages, you can use the sugar-free globules that are available in the market. Or you can also replace the sugar with honey. Honey is exceptionally good for health. Consider having fresh fruits. But do not eat fruits in empty stomach. You have your lunch by 12.00-1.00 PM. You can consume some portions of starch, carbohydrates and proteins during this time. One small bowl of rice, two medium sized chapattis, dal, chicken/fish, curd; this can be the ideal lunch. Dal, fish chicken are rich in protein, while rice and chapatti in carbohydrates and starch. You can have the food in your office canteen or pack it from home. You need a lot of energy to work till evening, so don’t hesitate to eat. I have seen people skipping meals in order to lose weight. But instead what happens is that the body becomes weak, the pressure falls, nausea and head ache occurs, and gas is formed. Gall bladder stones are often caused due to skipping meals. The clock struck 4.00 PM, and you are feeling hungry. 4 hours have passed since you have had your lunch. Do not even think of KFC or Pizza Hut. It is during these times that you have to control your temptation. Have an apple, digestive biscuits, cream cracker biscuits. You will munch these things and you will feel better. You can have your dinner by 8.00-9.00 PM, this is the ideal time. It is advised not to sleep immediately after having dinner. Do not watch TV while having dinner as then you tend to consume much greater amount of food than you should actually be eating. Finish your dinner in the dining room, and then go for a short breather and a walk. In between the meals I have maintained a gap for 4 hours, which is absolutely fine. Nuts, almonds, fruits can always be consumed in a day if you feel like hungry. But stay away from the fast foods. Eating right and adopting healthy living habits is the key to a healthy and happy life. There are certain foods that actually help you keep your weight in check. And here’s the list of some of the foods you should be eating. Eggs: The whole eggs are very beneficial for your health as they are great source of energy to sustain you throughout the day. They have proteins and healthy fats which can make you feel fuller for longer hours. A study showed that women consumed one egg daily, and then they felt less hungry for the next 36 hours. Chicken and fish: The chicken and fish are the great source of protein and tasty too. It is not necessary to eat boiled fish and chicken only. You can cook curry and have it for lunch and dinner. Leafy green and cruciferous vegetables: The leafy green vegetables like spinach and cruciferous vegetables like broccoli and cauliflowers are especially good for you if you are trying to lose weight. Fruits and Nuts: The fresh fruits and nuts are the ideal foods if you want to lose your weight. They are nutritious, tasty and you will just enjoy a nice bowl of fresh fruits salad while watching TV. The nuts like almonds and walnuts are really tasty, sprinkle some salt on them and you are good to go. Soups: There are various kinds of soups that you can include in your diet, be it vegetable soup or chicken soup. You can also add a pinch of butter in the soups for taste because a little butter will do no harm. The number of vegetables will make the soup colourful and also tasty. Sprinkle salt, black pepper, vinegar, in the soup and enjoy it. There are certain foods which may ruin your effort of losing weight and here’s the list of food worth avoiding if you are on a mission to lose weight. Candy bars: The candy bars, chocolates are very harmful and they will not allow you to reach your goal. Replace the candy bars with the tasty nuts. Ice creams: Ice creams are made of milk which has high percentage of saturated fats. Replace the ice creams with the homemade ones where you can use skimmed milk, and sugar free globules. But you must not obviously have ice cream on a daily basis. Fries, chips and packaged foods: Do not consume these foods as they are like poison to you if you have set a goal to lose weight. The packaged foods have oils, fats, preservatives and other such chemicals which are not healthy. Replace these foods with homemade fresh items. White bread: The white breads have a lot of added sugar, which will increase the level of sugar in the blood. You can replace the white bread with the brown bread. Same as white rice, replace the white ones with brown rice. On November 26 of every year, Anti Obesity Day is observed across the globe, but predominantly in India. It was started by the Vandana Luthra who is the founder of the most famous Indian Wellness Brand, VLCC. 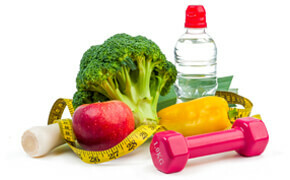 The main motive of observing Anti Obesity Day is to promote healthy lifestyles. According to Dr D.P.Mishra, senior consultant physician of Balrampur Hospital, out of 150 patients that he meets daily; over 20% of the patients are either overweight or obese. And the number has doubled in the last five years, he said. And who is to blame for this? Our lifestyle, we have no time to take care of ourselves. We have no time to eat, sleep and workout. Did you know that, walking 4 kilometers in 40 minutes for 4 days in a week can help you curtail the excessive calories? Regular walk of around 40 minutes to an hour can keep many other lifestyle diseases at bay, like heart diseases, diabetes, blood pressure, cholesterol and other ailments. 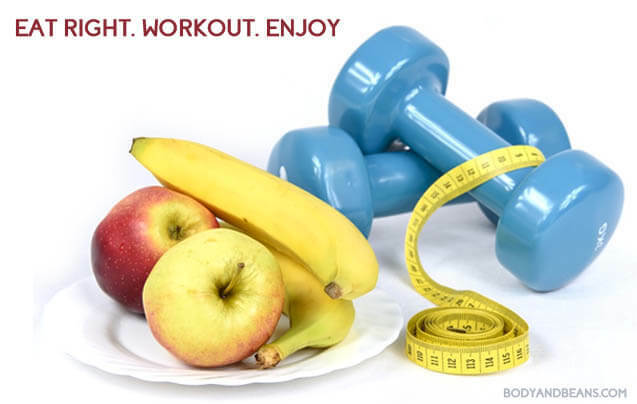 Anti Obesity Day propagates the importance of physical exercises like gym or yoga for a healthy body. Lifestyle related disorders and diseases can be a big threat. But when you adopt healthy living and eating habits, you can easily check these lifestyle disorders and diseases. In order to lose weight, you may not require going on diet, but at the same time you can’t just eat anything and everything without the effects of the food you are consuming. Take an oath on this Anti Obesity day and see the change that comes within you! You will feel healthier, happier and more importantly confident!